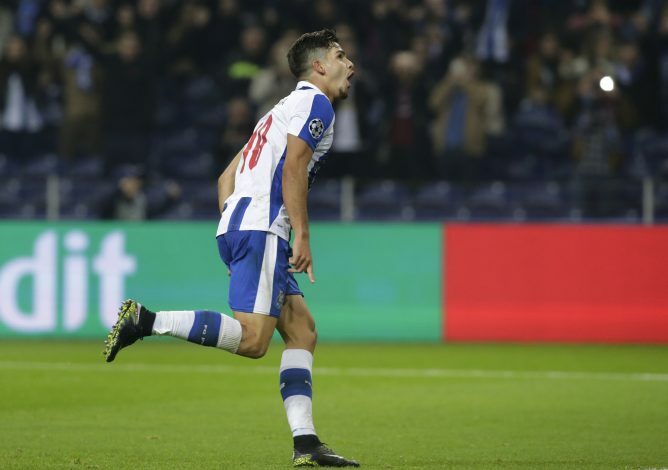 Real Madrid will sign FC Porto striker Andre Silva next summer for a fee close to €58 million, according to the Daily Star. Arsenal inquired about the striker and were willing to spend around €30 million, but the Portuguese club answered back and said that an agreement with Madrid was already in place, per that same report. Arsene Wenger is believed to be an admirer of the 21-year-old, who was also watched by United, and was hoping to sign him during this transfer window. But that seems unlikely now. Real Madrid have told FC Porto that they would want to sign the forward in the summer, once their transfer suspension ends. With the Portuguese giants in financial plight, they would be too tempted to wait till the summer for Madrid to join the race and hike Andre Silva’s value to €50 million. Silva has been in hot form this season, having scored 14 goals already. He also became the youngest ever player to score a hat-trick for Portugal in their World Cup qualifier against the Faroe Islands. He has formed a formidable partnership with Cristiano Ronaldo for the national team, and the duo has shared 11 goals in 3 games between them. Madrid would want to use this connection to lure Andre Silva to the Bernabéu. Arsenal, on the other hand, are desperate for a clinical forward, with Alexis Sanchez yet to sign a contract extension. The Chilean has been the London club’s talisman ever since he joined in 2014, and has scored 15 goals so far this season. His blistering form would surely attract big clubs, and Arsenal’s failure to tie him down will worry Wenger.